ha ir. Swimsuit. Wt. 14 oz. mask and snorkel. Wt. 3 oz. mi rro r a n d m ake-u p .
and friends. Wt. 3 oz. or ski, swim, skate or dance? skates; tutu and ballet slippers. 308 14-Shipping weight l lb. 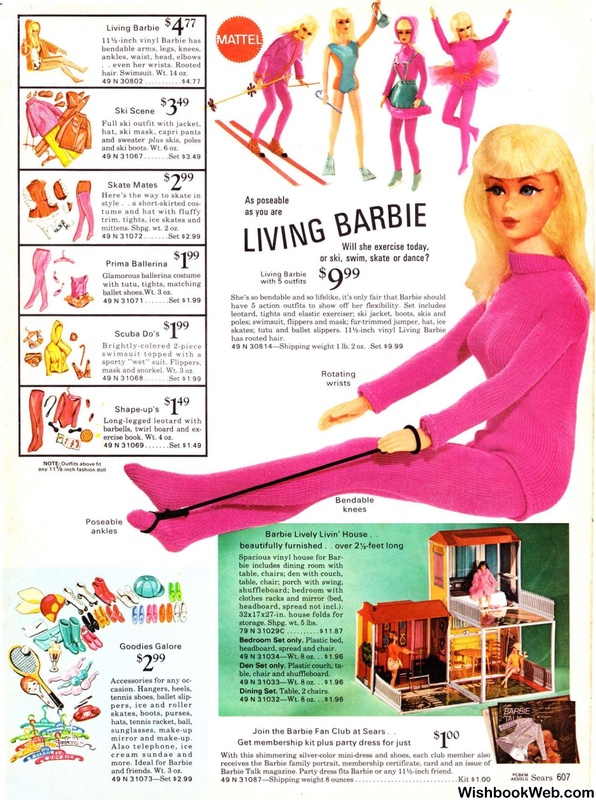 Barbie Lively Livin ' House ..
Join th e Barbie Fan Club at Sears . 49 N 3108 7-Shipping weightSounces. .